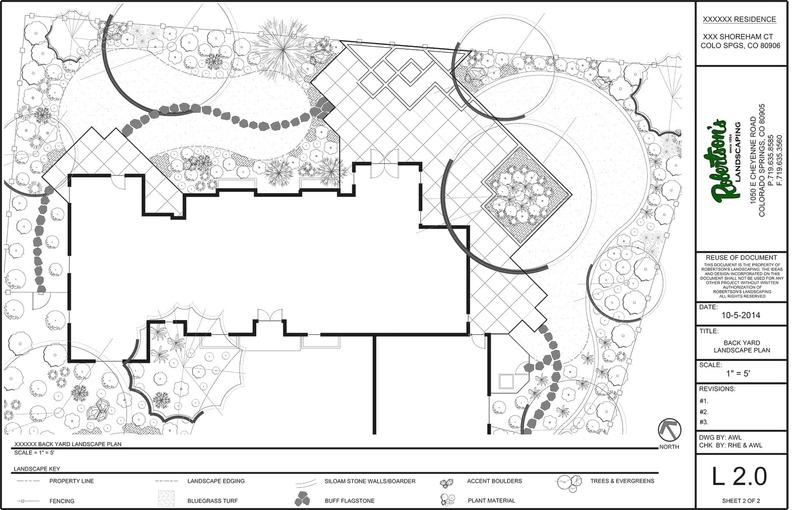 Here at Robertson’s Landscaping, we provide a wide range of design services. 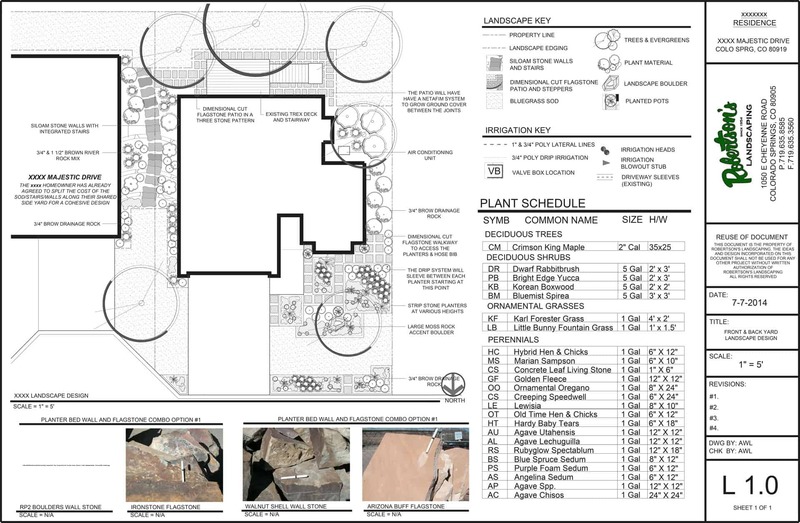 Whether you are in the market for a renovation or new landscaping, we have the design skills necessary to complete your project. Whether you are a homeowner, developer, custom home builder, or general contractor, each design is customized for the property’s unique characteristics. 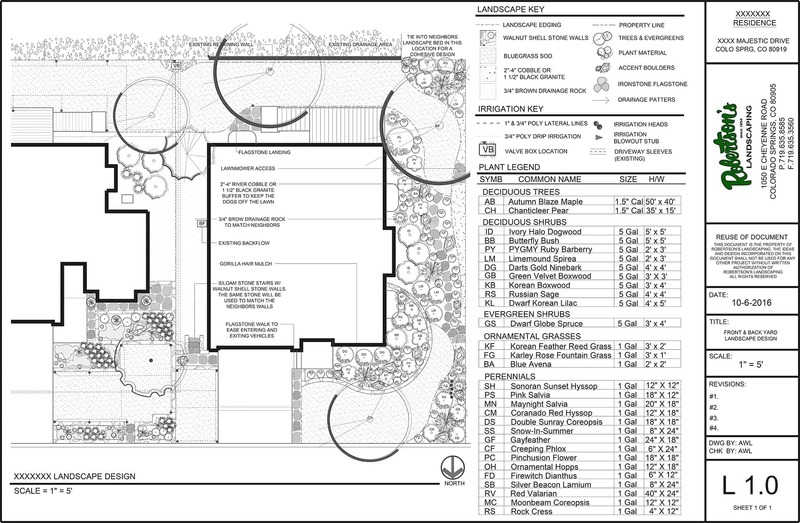 We work closely with each client to ensure the project is designed to their specifications. Robertson’s designers have years of experience not only in design but installation as well. Having experience in both not only improves the overall design but also helps eliminate the nuances of building the project once it is finalized. Understanding the construction side is crucial when it comes to a well-rounded designing. Our designers are committed to understanding new design trends, products advancements, and upcoming developments in the industry. This small and very structured front yard has raised walnut shell stone planters with a diverse succulent garden planted in a grid pattern. 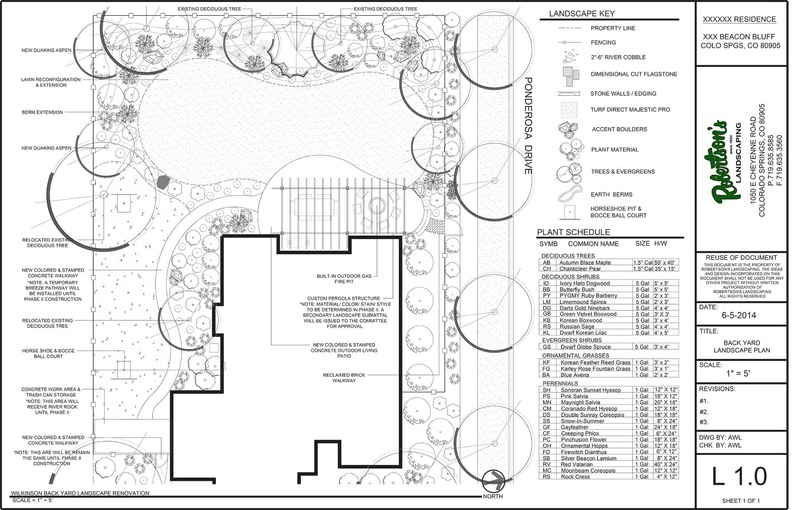 Free flowing turf lines, lots of plantings and a structured hardscape. The fire feature is integrated into multi-tiered custom water feature. This foothills property was designed with natural stone walls, pathways, stairs, and boulder arrangements. 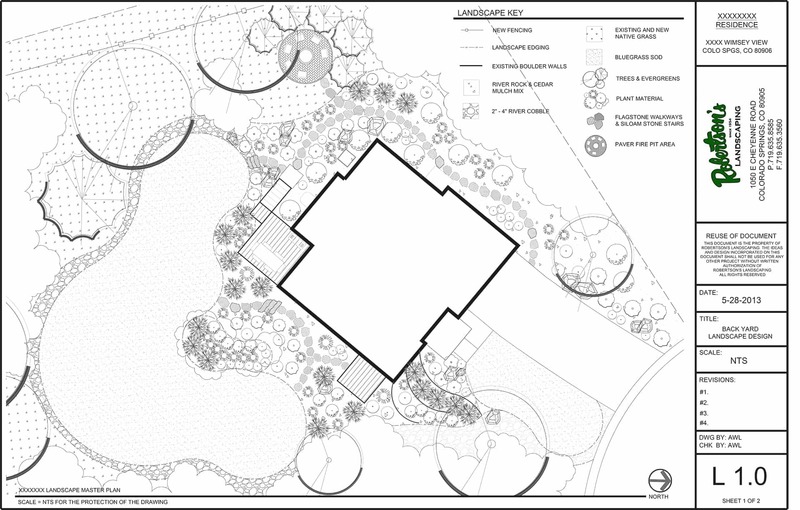 Native plant material helps blend the home and landscaping into its natural setting. With a fabulous view of Pikes Peak we added a paver patio, pergola, fire pit, leisure game area, and lots of planting color. It was transformed into a warm & inviting space to entertain friends and family. This corner lot is anchored by a raised walnut shell stone wall, transitional sod areas between the front and back yards, and is connected by an ironstone walkway. With an undulating planting scheme this corner lot has great curb appeal. This large back yard had two purposes in mind, privacy and sports. 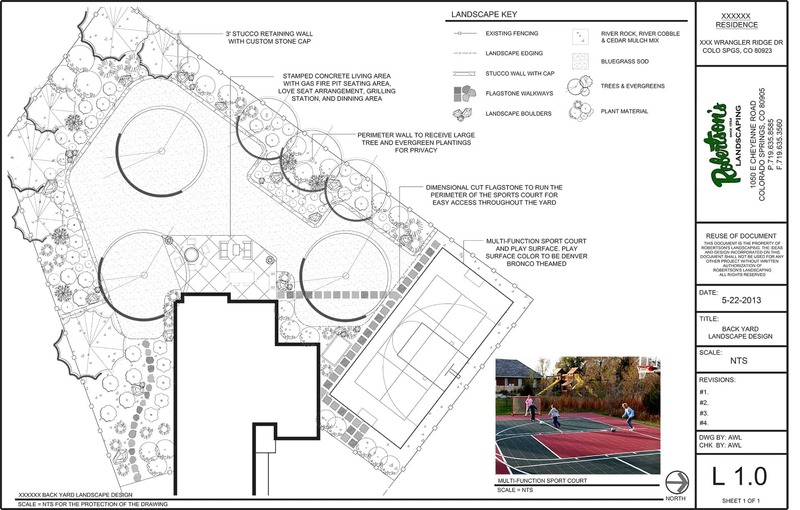 With 3.5’ stucco wall elevating the planting beds to keep peering eyes out and a multi-function sports court rounds out this back yard entertainment arena.